Beautiful greeting with shiny golden text Eid Mubarak. Beautiful greeting design for Eid Mubarak festival. 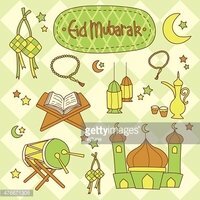 Stylish Eid Mubarak greeting card design.